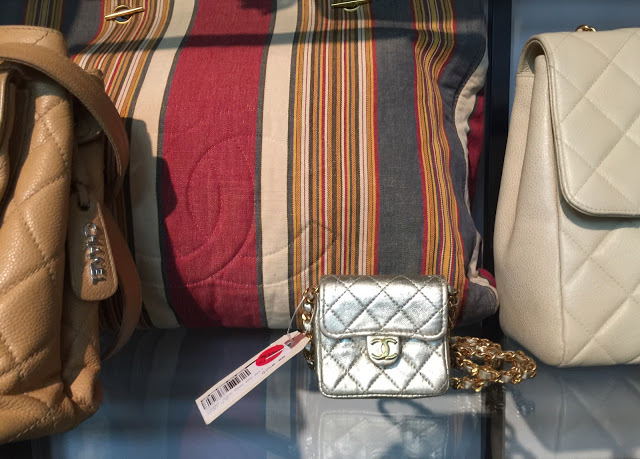 UPDATE: Extra 15% off accessories and extra 20% off apparel. 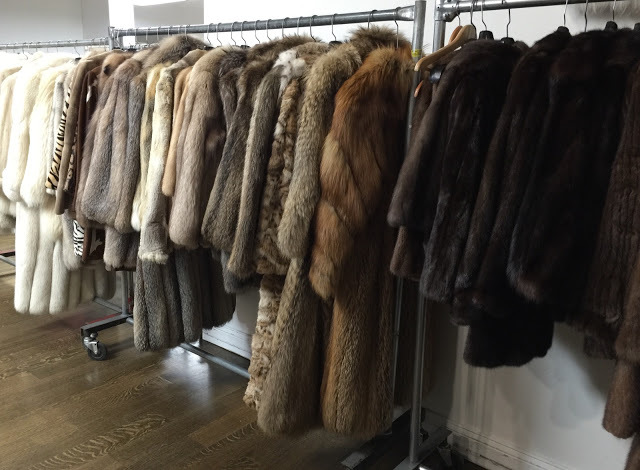 WGACA‘s annual sample sale returns this morning with a huge selection of luxury designer vintage apparel and accessories. 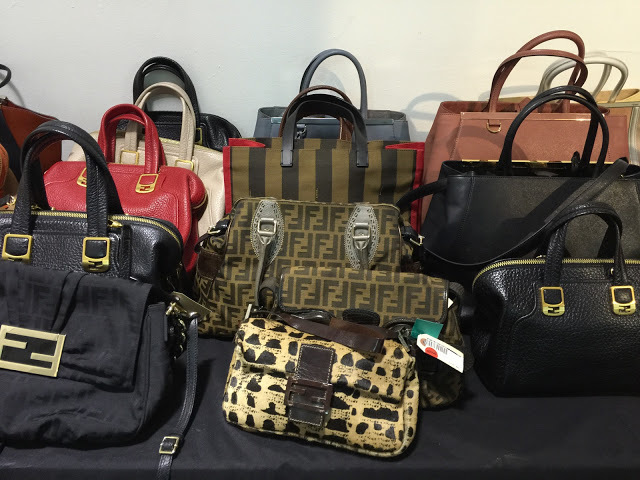 The sale features handbags from Chanel, Louis Vuitton, Gucci, Celine, Prada, Fendi, Chloe, Bottega Veneta, and many more. 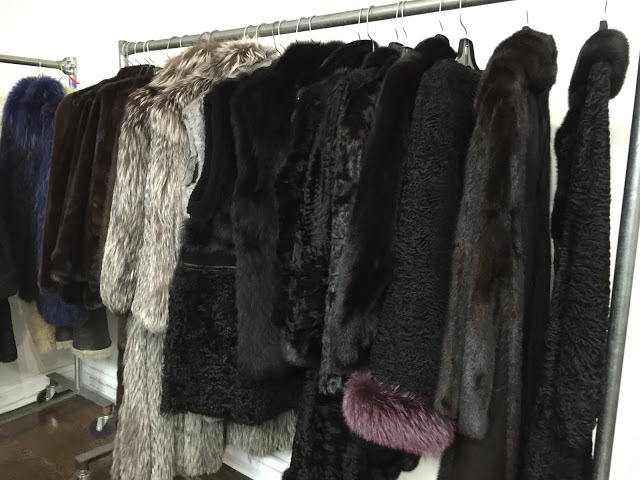 There is also jewelry, furs, and apparel for women and men. 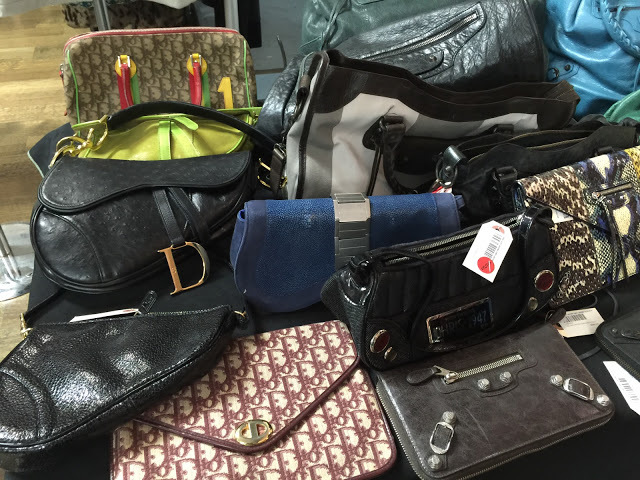 All items are individually marked with an additional 10% off jewelry and bags. 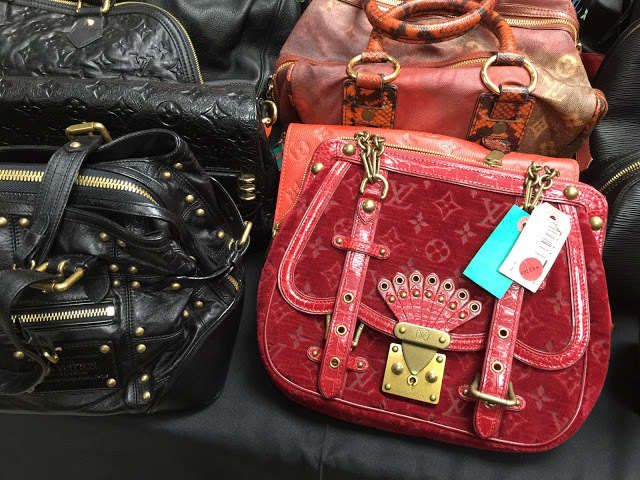 Certain pieces also sport round red tags that denote an even lower price. I noticed this on items that were in somewhat less than pristine condition. 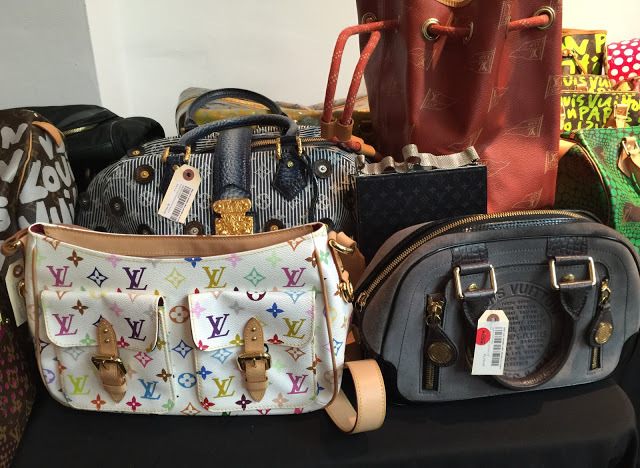 Overall pricing is on par with similar consignment stores or online retailers. Actually in many cases prices are exactly the same as WGACA official website (except the occasional red tag and the extra 10% off). 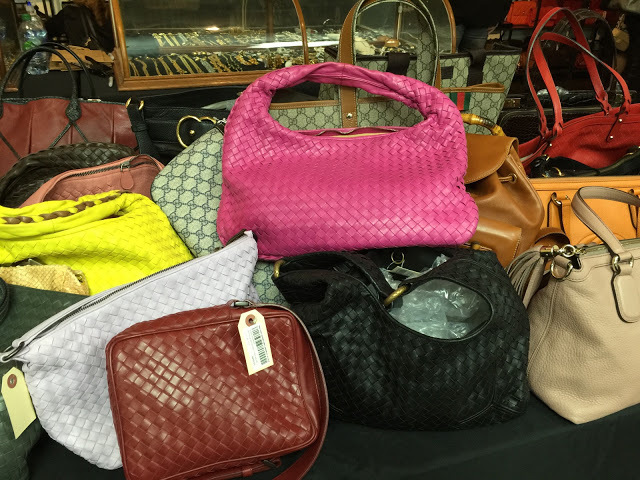 Personally I think the vast selection and ability to really inspect each piece makes this sale worthy of your attention but you may want to hold off until more discounts are announced. 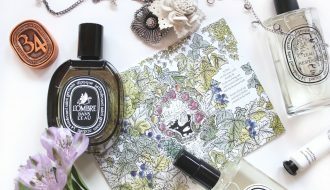 Just don’t go in expecting a bargainista’s paradise and you won’t be disappointed! 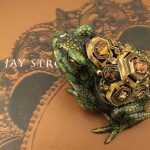 Just a quick note on pricing…… I will be listing the sales tag prices without adjusting for the additional 10% off. Since you have to pay tax on all of these items I like to think of that extra discount as essentially negating the tax. Also for my own sanity and for when further discounts are announced it’ll be easier to keep tack. Sorry if that makes things confusing for some. 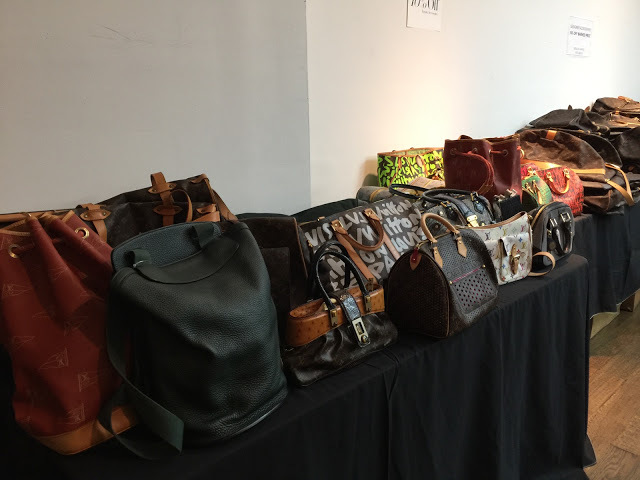 Handbags, accessories, and jewelry were located inside a special roped off area all the way in the back of the venue. 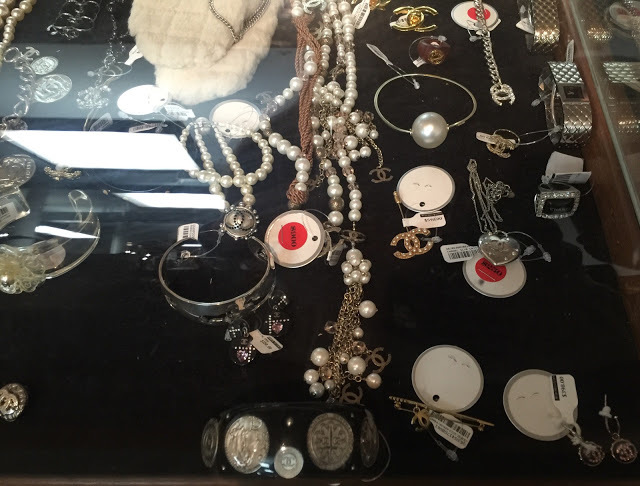 I first headed to the jewelry counters in hopes of finding my pièce de résistance, otherwise known as a Clic-Clac bracelet. 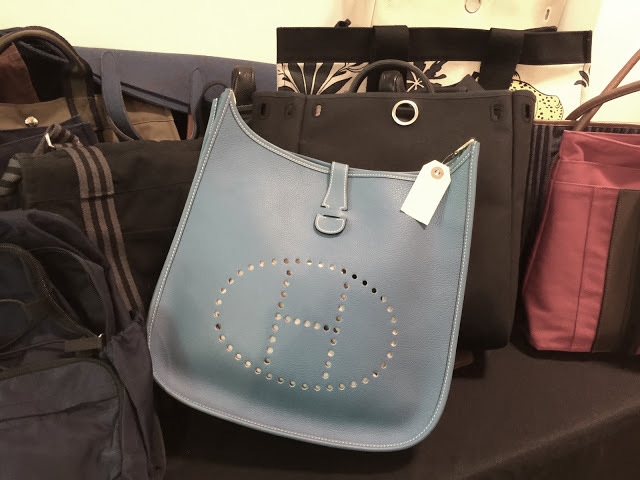 It is one of the items that’s never available by the time official Hermes sample sales open to the public and average consignment prices are very close to full retail. 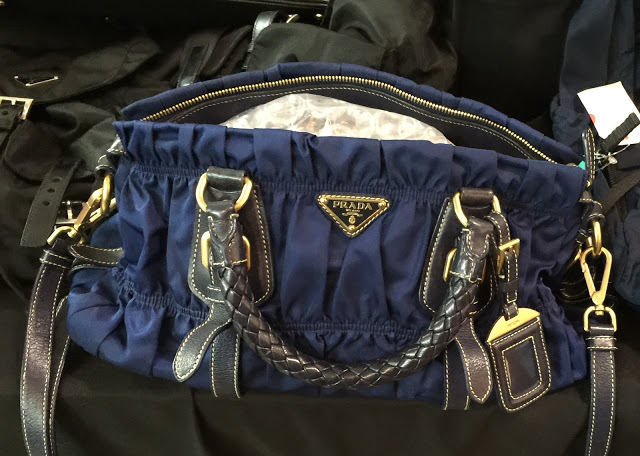 This summer I was very happy to find a narrow clic-clac for under $300 during the LXR&Co sale at C21 and I was glad to see several of them at this sale for the exact same price! 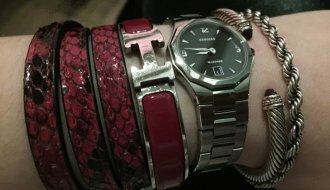 There were only a couple of bracelets in both GM and PM sizes red tagged at $300 (minus 10% off). 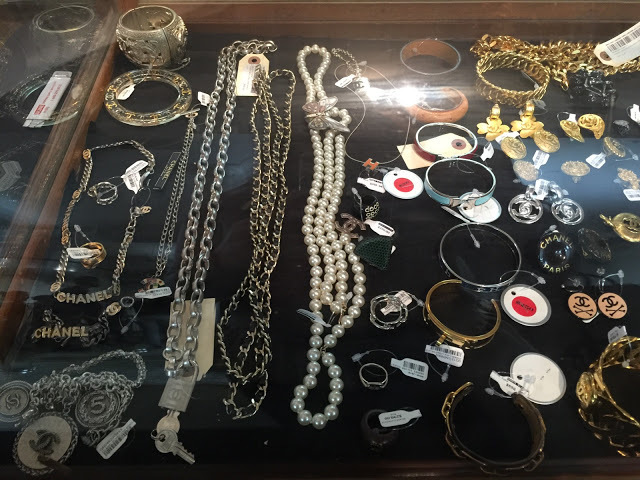 Other Hermes offerings included narrow enamels for $250, a Cage d’H necklace for $200, and a scarf ring for $225. 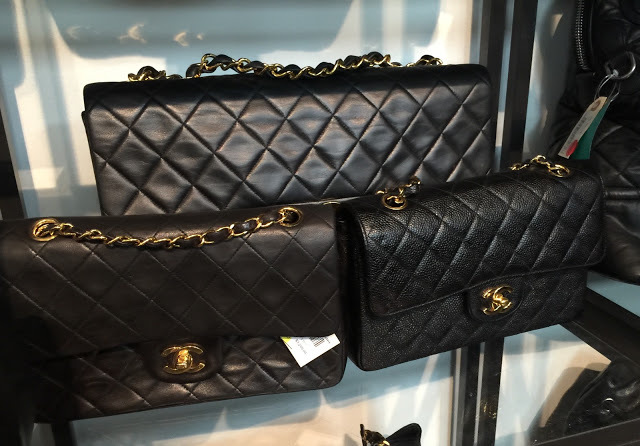 The sale featured a lot of Chanel jewelry like necklaces, bracelets, keychains, rings, and clip-on earrings but very few pierced earrings. 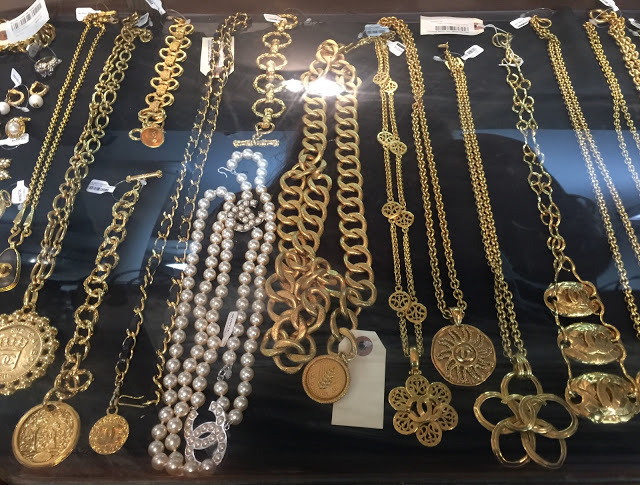 There were a lot of older vintagy styles with prices as low as $250 for a silver heart locket necklace and as high as $2k for big gold chain necklaces and belts. 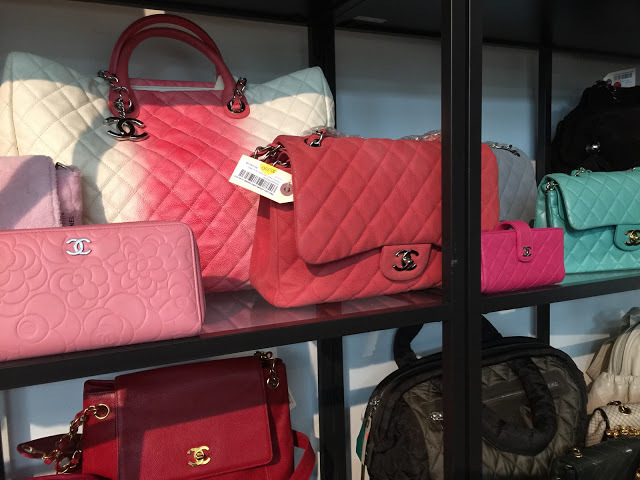 The biggest draw of the sale, Chanel bags of course, can be found behind the jewelry counters along the back wall. 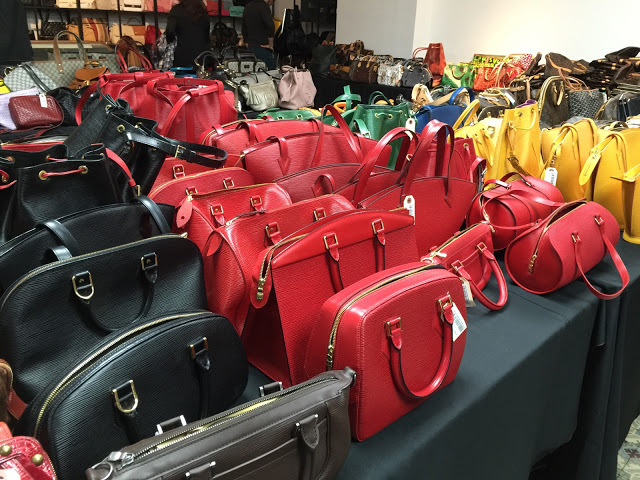 Organized by color, there were so many styles and colors and featured decent selection of flap bags. 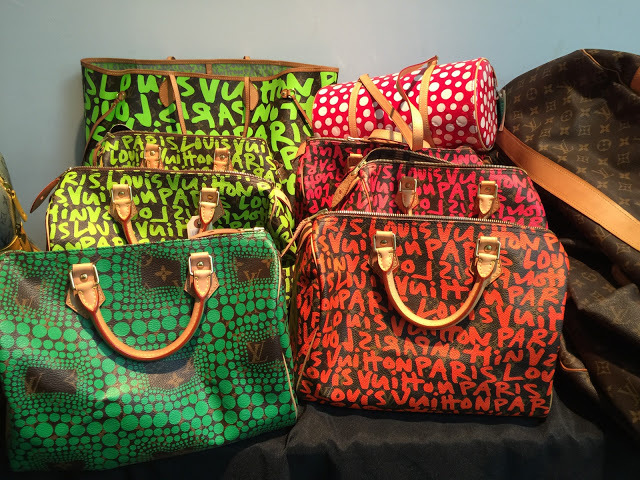 I spotted a 9″ 2.55 Flap in beige lambskin for $3,400 a blue lambskin version for $4,200, a black lambskin version for $3,000 and black caviar version for $4,500. 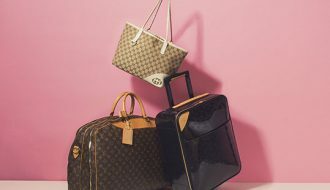 A curved Flap in black lambskin for $3,500, a jumbo black patent Reissue with red tag for $2,750 (the hardware showed noticeable signs of wear), a black caviar Kelly maxi for $2,500. On the really pricy spectrum I saw a jumbo Flap in red caviar that was listed as new for $5,750. 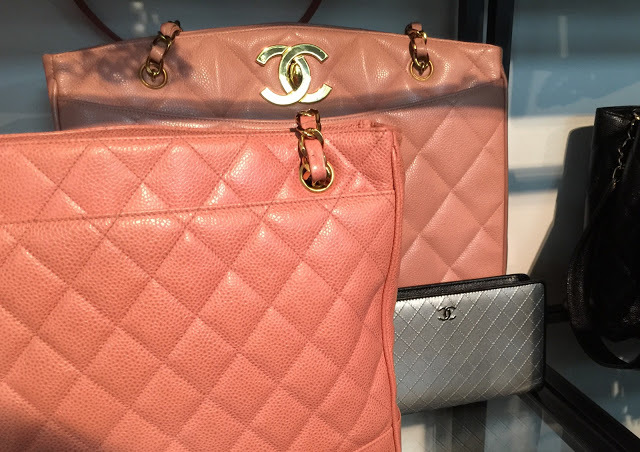 There were not too many Chanel accessories but I spotted a few wallets like black caviar and silver calfskin quilted styles for $750 each. 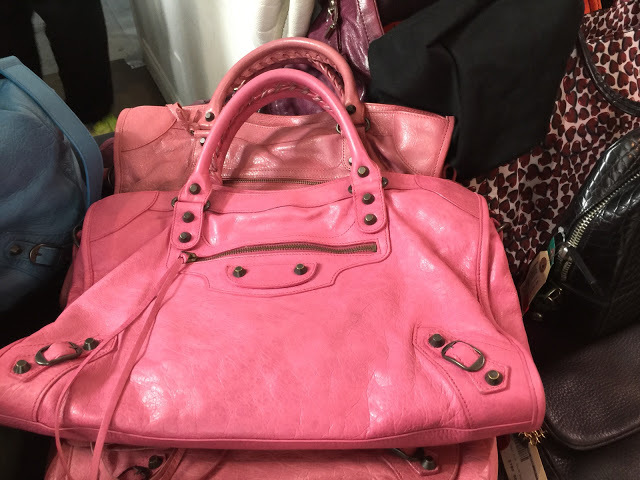 There were a few red tagged pieces like a small silver quilted clutch with a tassel for $800 but for the most part there weren’t any deep bargains. 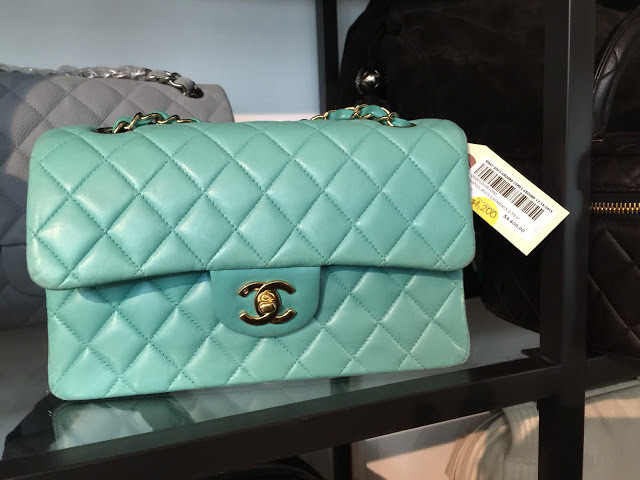 With the recent Chanel policies regarding sales its pretty much impossible to find a brand new handbag at a significant discount. 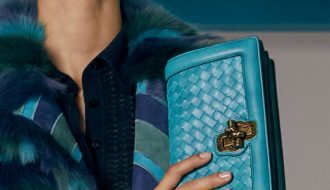 The options are few and include getting a 10% discount when opening a credit card at one of the big department stores, buying duty free at the airport (which is essentially the same thing), befriending an employee and begging them to buy you a bag 😉 or simply buying it overseas. 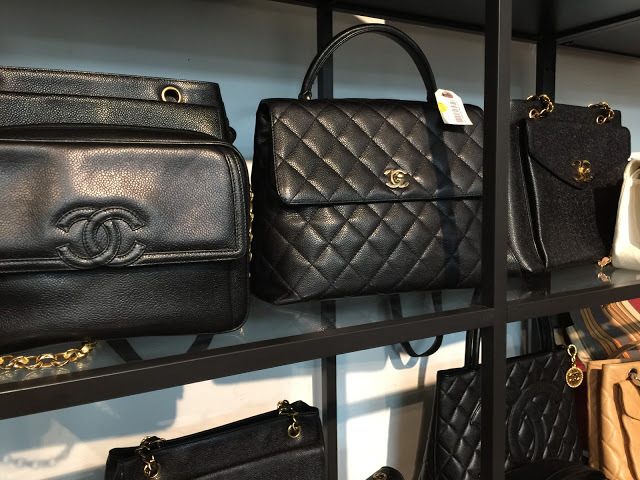 Let’s face it going to Europe just to buy a Chanel bag isn’t exactly a simple option although if you happen to be in, say Paris or Milan the VAT refund, lower EU prices and current exchange rate make it the best option. 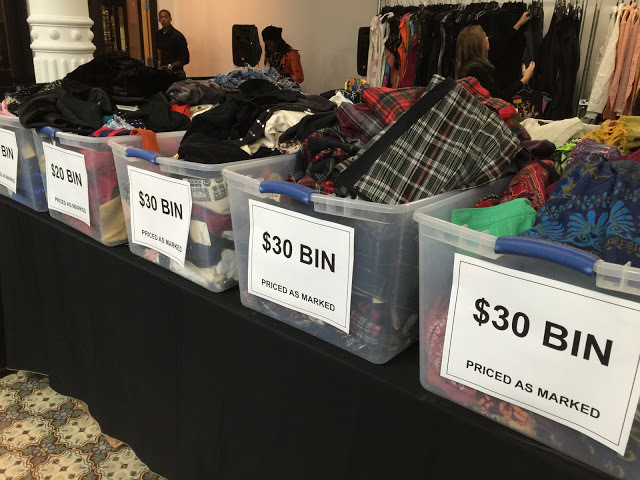 So basically this makes consignment shops the most affordable option here in the states but these prices can be better. 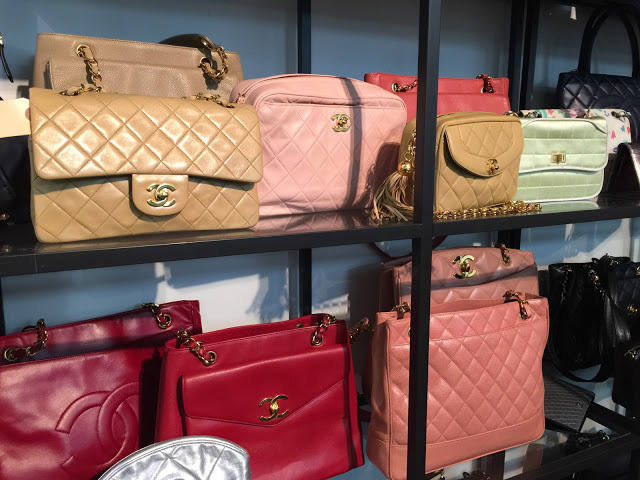 Dont you wish you had this much Chanel in your closet? 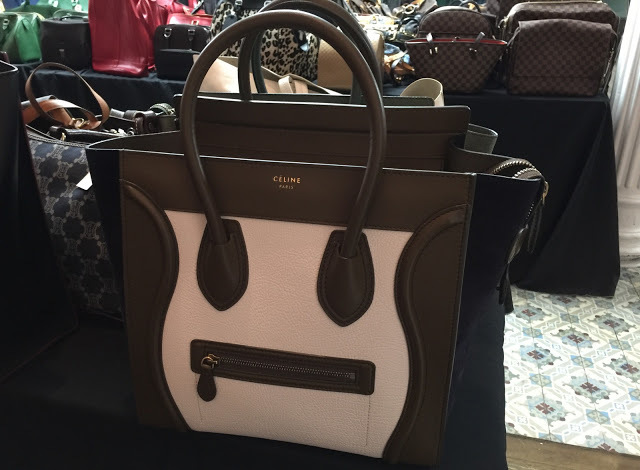 The rest of the handbags were displayed on nearby tables. 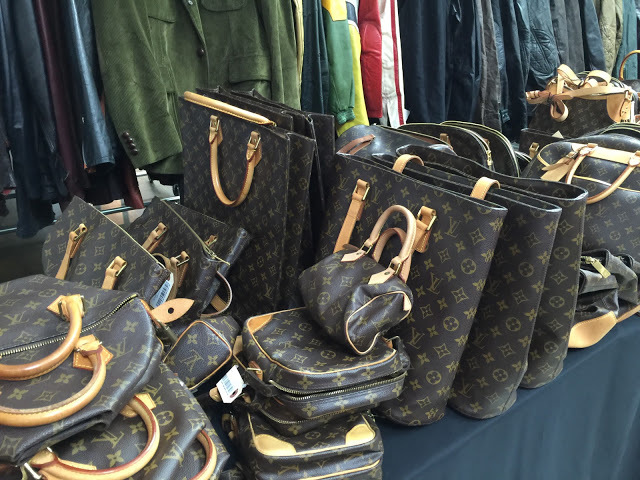 Organized by designer and style there were several tables lined with Louis Vuitton bags. 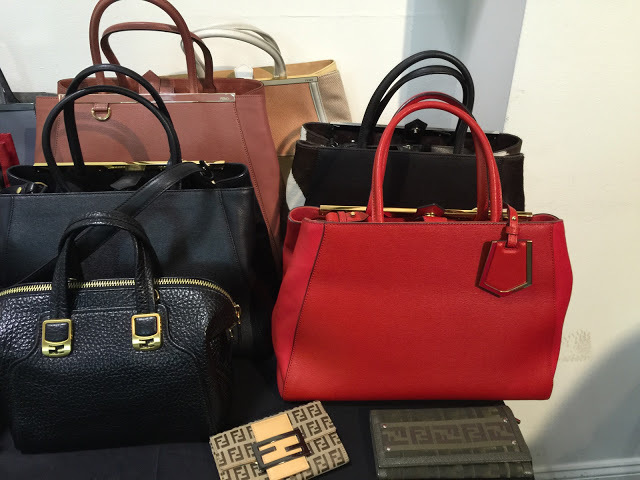 The somewhat cheaper, second quality bags were located on the table to the right (near the rack with leather jackets). 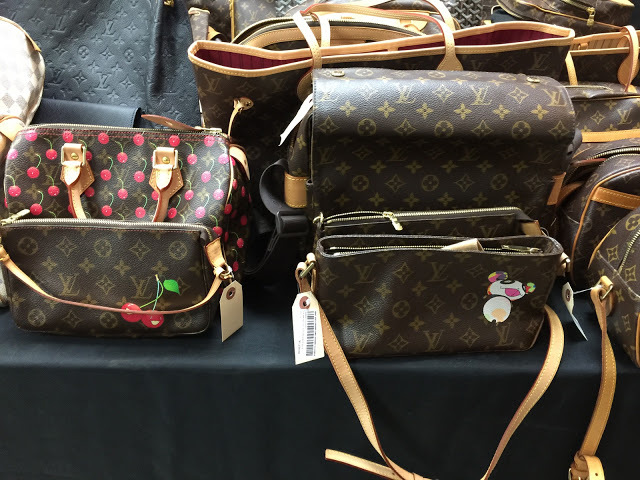 I spotted monogram Alma PM $825, monogram 30 Speedy $500, mini Speedy $450, Odeon PM $1,050, Sologne $775, 65 Sac Polochon $1,650. The table along the wall had a bunch of colorful Speedy 30 in green and red Sprouse at $2,250 while a white multicolor Lodge GM was $1,450. 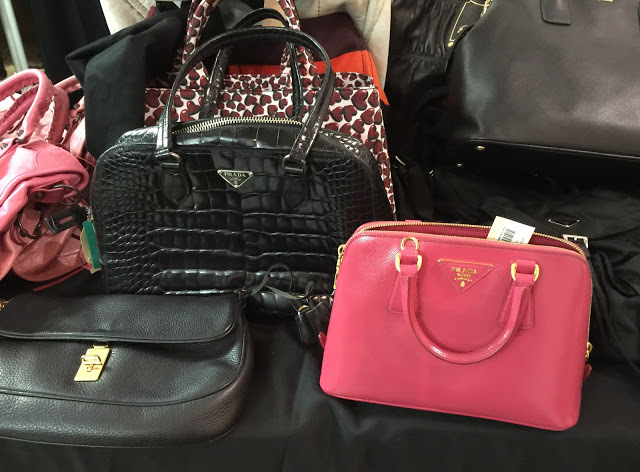 Other tables featured Gucci Disco bag in pink calfskin $775, Gucci Soho shoulder bag in pink $1,200, Bottega Veneta intrecciato small shoulder bag $850 and classic large bags in black and magenta for $4,450. 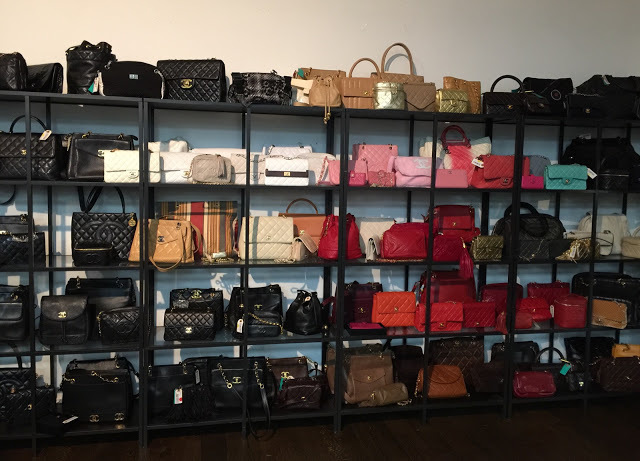 There was a large Celine luggage tote for $2,950, Balenciaga wallets $600-$850, Balenciaga city bag in pink $850, a small Prada saffiano Promenade $1,800, Fendi 2Jours in red $2,250, Fendi Anna bag $950, and Hermes Evelyne GM in blue for $2,950. Again prices were not that cheap. LXR&Co prices during their summer sale were significantly cheaper. 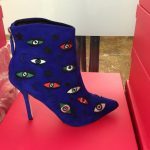 If you have access to some of the brand specific sample sale like Gucci or Fendi then these prices start to seem extreme. 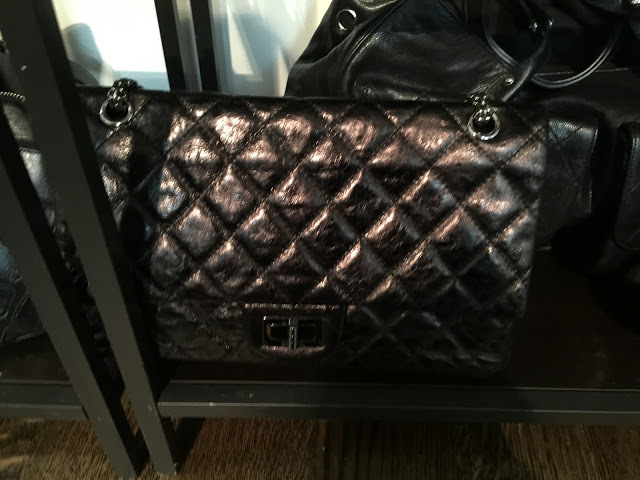 Also for Nordstrom Rack and C21 bargain hunters you know that you can find brand new versions of some of these styles much cheaper. 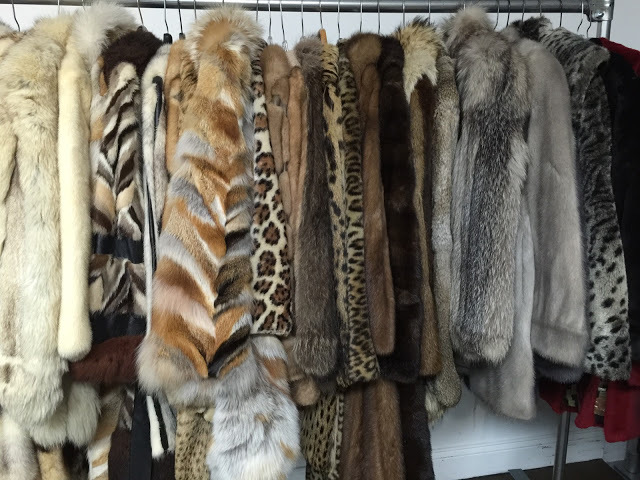 There was a wide selection of furs towards the back, on the left side of the venue. 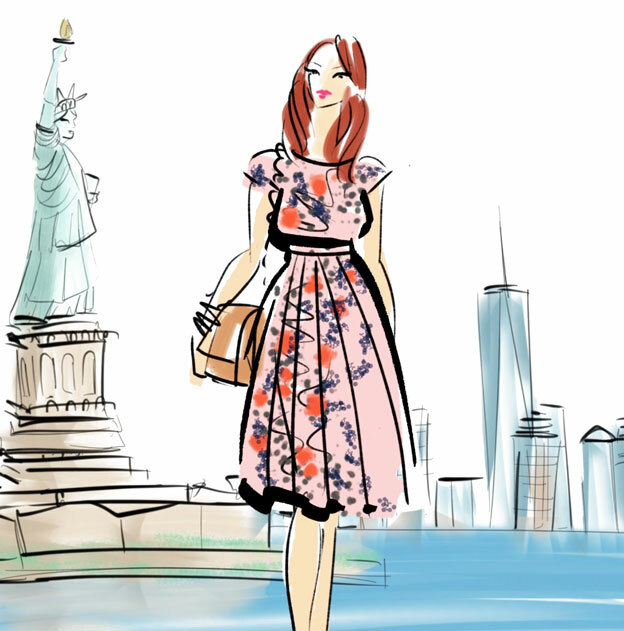 With average prices of around $1,000-$1,500. 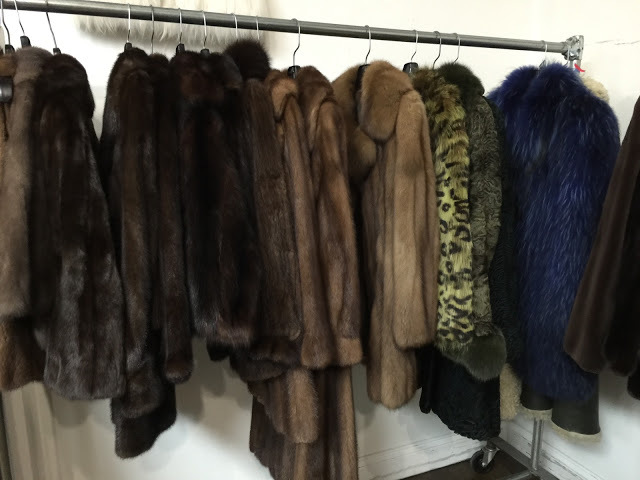 A mink long coat was $975, a short brown fox jacket was $625, and a long mink coat with striped lining was $1,250. 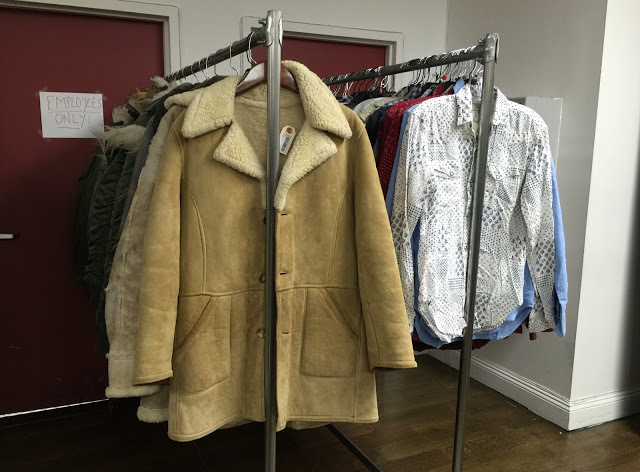 There was also one rack of vintage shearling coats. 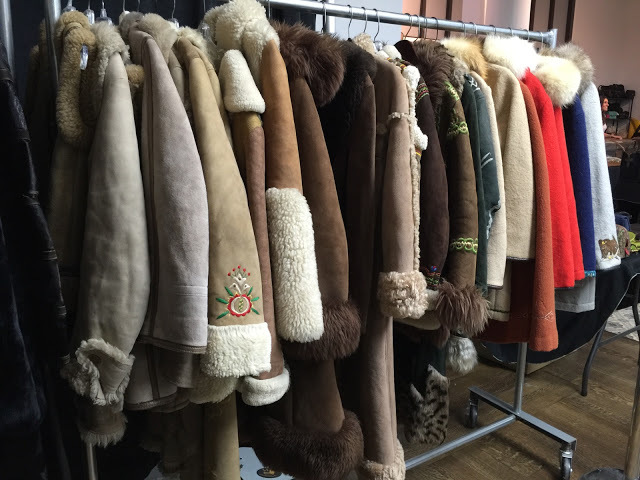 Think ’70s mongolian fur trims and embroidery details. 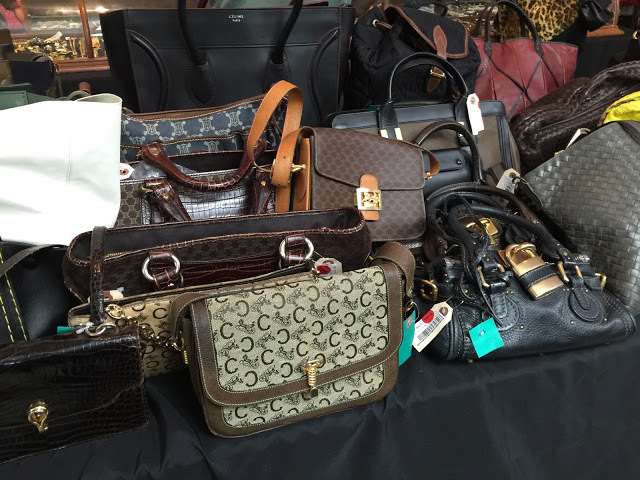 Average prices were around $250. 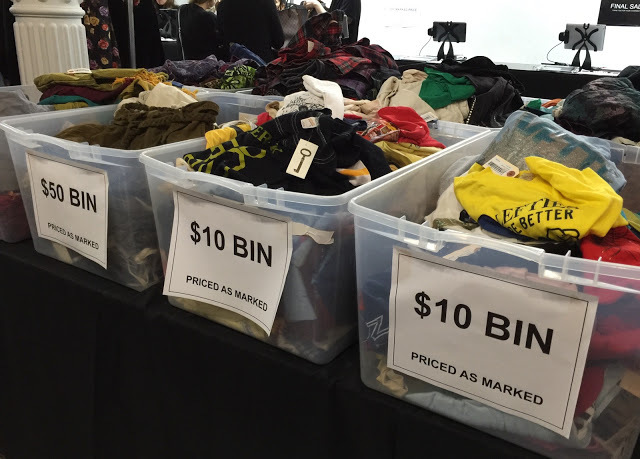 In the middle, near the entrance were bins with specially marked clothes with prices starting at $10 and going up to $50. 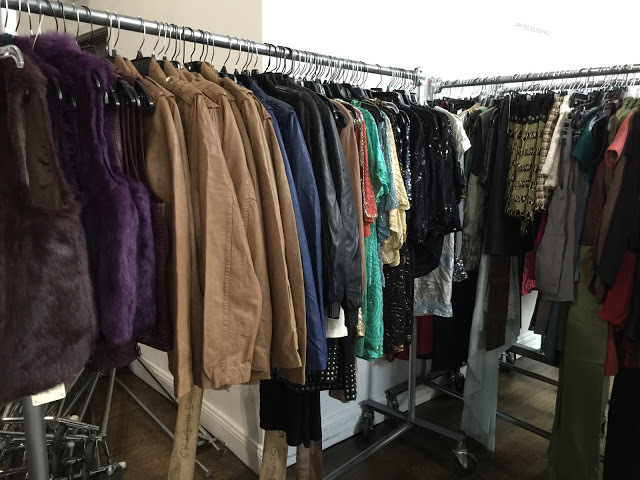 It was a mix of t-shirts, skirts, shorts, tops, and various other odds and ends. 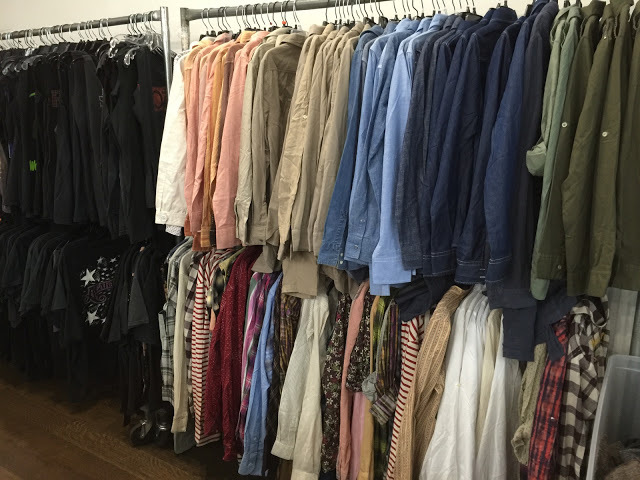 Along the walls were fully stocked racks of dress shirts, flannel shirts, tees, and leather jackets from What Goes Around Comes Around own in-house label. Prices were $40 to $250. 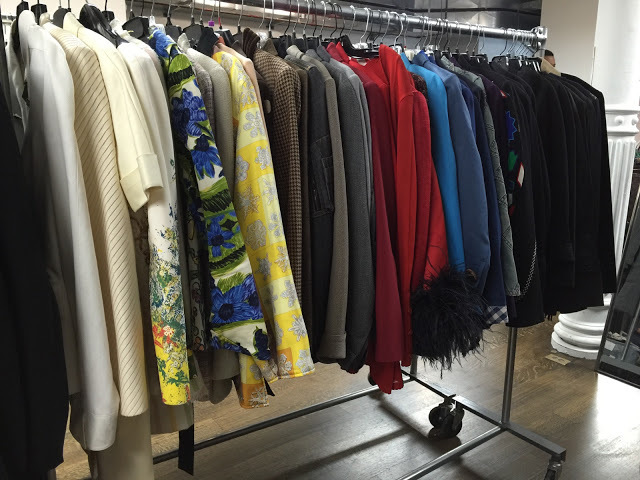 A few of the luxe designer apparel pieces were on the middle racks and consisted predominantly of tops and blazers. 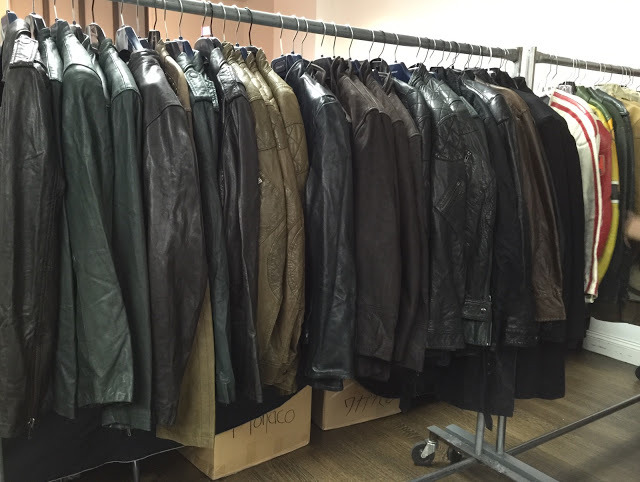 There wasn’t much of a selection in the bottoms department, maybe a half rack of pants and skirts. Apparel was the least interesting section since the prices and selection were pretty underwhelming. There were also some Rock and Roll band t-shirts near the furs but I’m not exactly sure what was happening there because some middle aged guys were getting half naked and trying on those tees while a photographer was snapping away. Yeah….I felt it best to avoid that area. 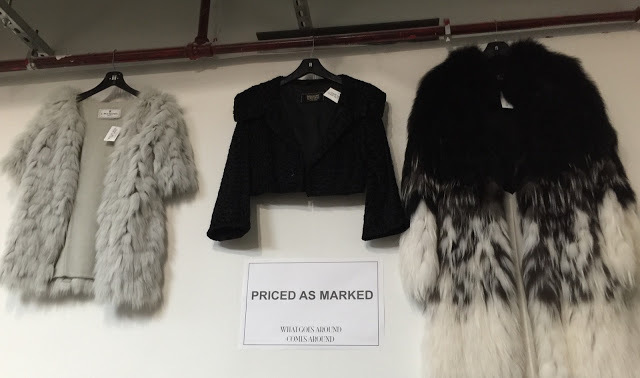 BOTTOM LINE: To be perfectly honest I found the discounts unimpressive for a sample sale. 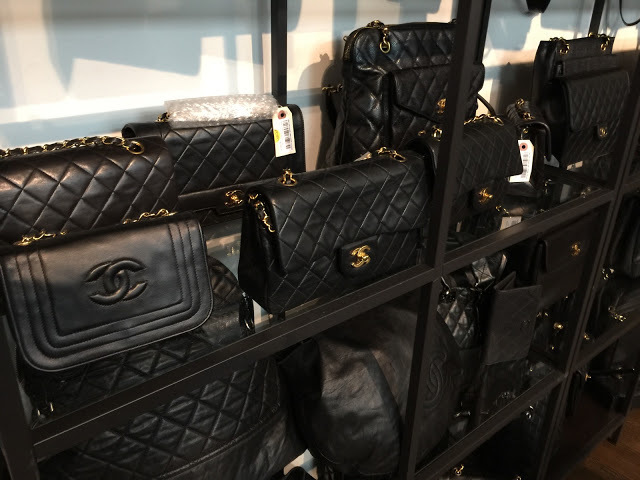 In many cases these are the same prices you’ll find online but it sure is beautiful to be surrounded by so many Chanel handbags 🙂 If you are in search of a particular designer piece that you know you can’t find cheaper elsewhere then you might as well check out the sale otherwise my advice is to wait for more discouts. 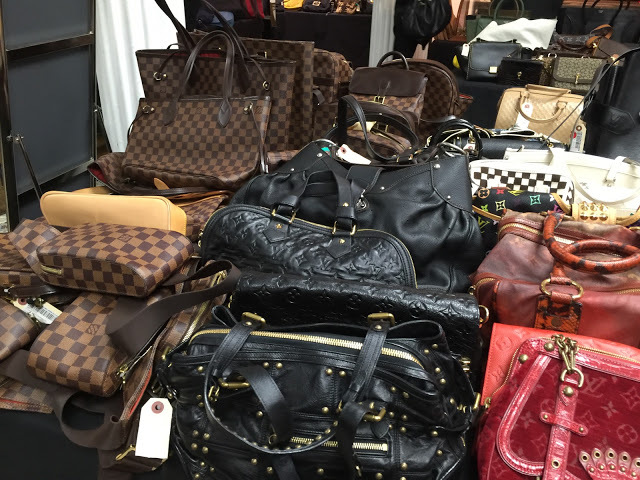 The sale runs thru Sunday and considering the staggering amount of merchandise on display price cuts are sure to happen. 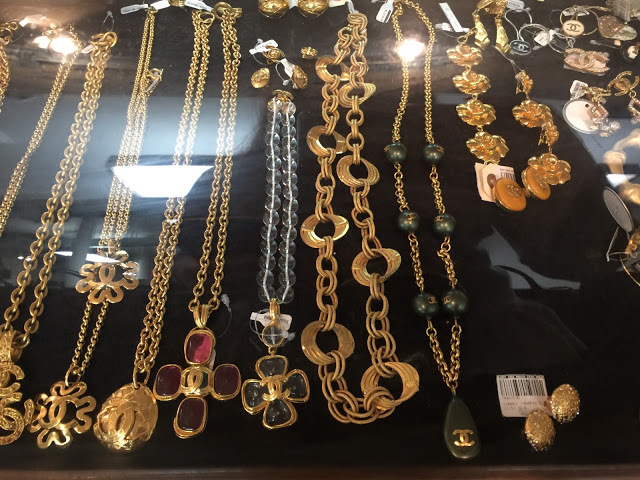 What was the pricing like on the jewelry? 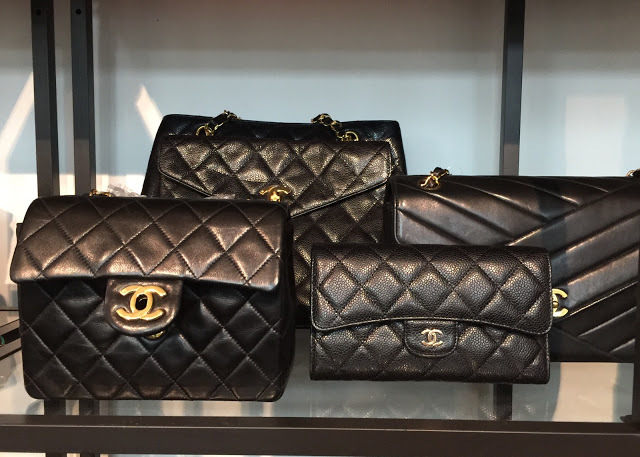 chanel pieces? 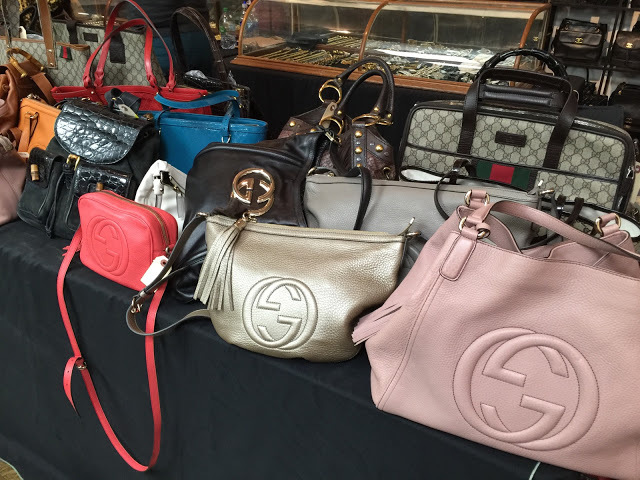 Retail bags for high-end handbags, luggage copy Chanel handbag's (กระเป๋าชาแนล) top grade Hi-End grade lifelike copy chanel handbags Louis HERMES BAO BAO recruit dealers nationwide.